HAT-A-THON. 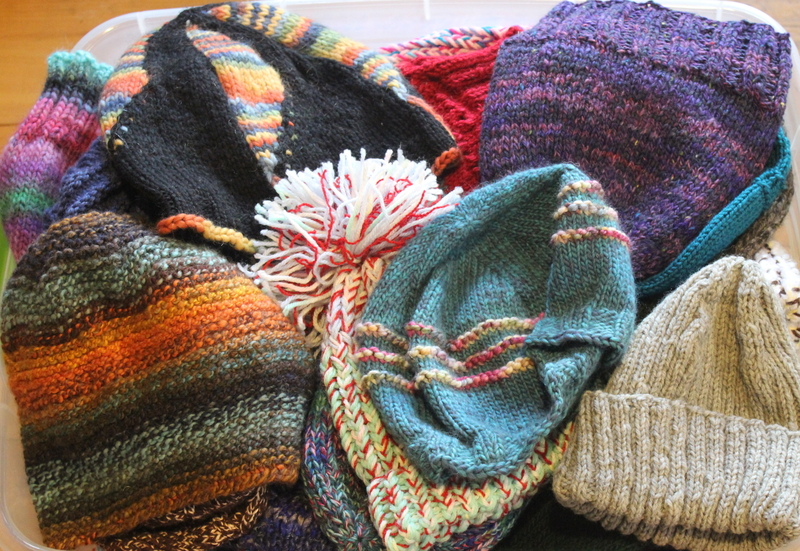 Last year in Jan/Feb, we made almost 100 hats for Syrian refugees. This year, we want to make over 100 hats to distribute to local service organizations (winter shelter, The Boiler Room, and Working Image). Make any kind of hat you like using any kind of yarn you prefer, or use one of the free patterns we will have available. Note! For this cycle, we’ll have a special bonus session on Friday, January 20th! Come by any time between 10am and 6pm on Inauguration Day to knit or crochet for the cause with us!